Vasanth Nagar being amidst to all of the local facilities i.e. major roads, local trains, metro, hotels, schools, colleges etc. Since it provides all of the local facilities that one has always in their priority list so definitely it is contemplated to one of the most demanding homes in Bangalore. So if you also seeking for the property in Vasanth Nagar Bangalore then we came up with the right choice for you and i.e. Prestige Edwardian which has taken a lot of efforts to provide you the best possible home. The flooring of the home is completely done by imported marble. Every door has a superlative quality of hardware. In these residential apartments which are located in Vasanth Nagar, you can avail 4 BHK home at the starting price of Rs. 10.45 Crs. 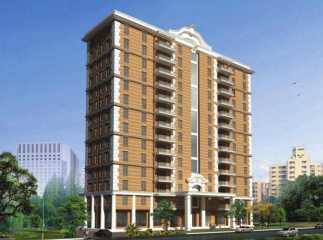 for 4750 sqft to Rs. 12.88 for 5855 sqft. Along with this, it is maintained with lush greeneries which not only offers a great view but is good for your health as well. Prestige Edwardin also provides 24*7 hours of water and electricity supply. Isn’t it worthy of your investment? If yes, then do pay a visit to residential apartments in Vasanth Nagar Bangalore, and book your own dream home.